According to TMZ, a woman who has allegedly been stalking Chris Cornell was arrested before one of his concerts earlier this week. The woman was initially charged with stalking Cornell last year and was ordered to wear an ankle monitor and avoid using the internet after she supposedly broke into Cornell’s home, with that incident driving Cornell and his wife to pull their children out of public school in case the alleged stalker tracked them down. However, she somehow ditched the ankle monitor at some point, and had been missing since then until Wednesday night. 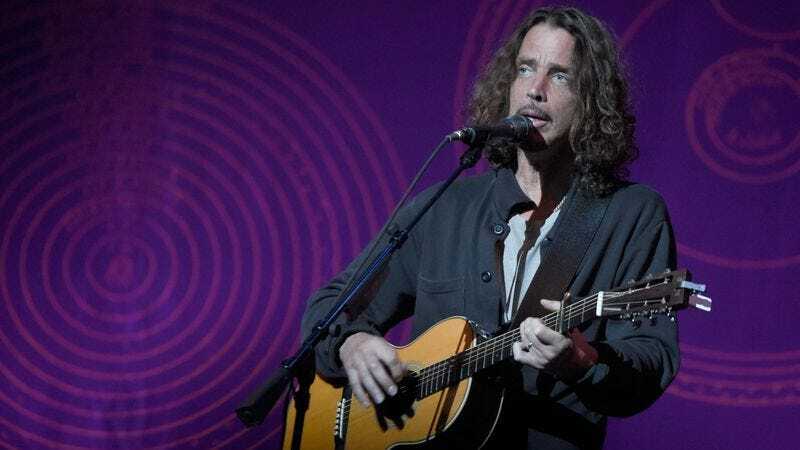 Cornell embarked on a big world tour earlier this year, and the TMZ report says that every venue had been given a picture of the woman with instructions not to let her in. That strategy evidently worked out, because she was arrested while trying to get into his Louisville show on Wednesday. Now, the alleged stalker will be taken into FBI custody and Cornell will be able to breathe a little easier while he screams “Black Hole Sun” or whatever.